Aquatic therapy (hydrotherapy) and exercises may be a form of physical therapy that you’ve never heard of. Hydrotherapy is something that you should consider if you’re seeking physical therapy because it can have many benefits for you. 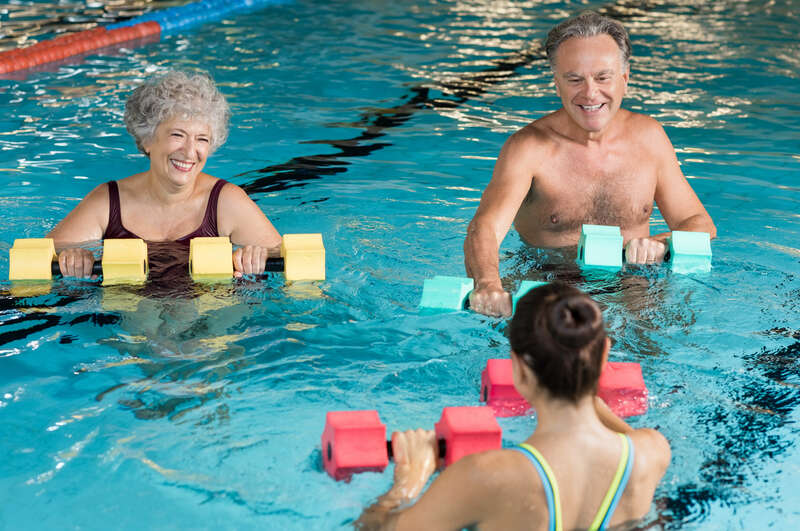 To get the benefits of hydrotherapy and exercises though, you’ll need to find an experienced physical therapy team to partner with. Our team at Peak Performance has experience helping people with many different forms of physical therapy, including hydrotherapy. No matter what therapy methods are used, we always start new patients off with an initial assessment. An initial assessment allows our team to figure out what is causing your pain. This can be due to an injury or condition, or sometimes due to lifestyle choices. Once we know the cause of your pain, our team will create a physical therapy plan to help you heal. This plan may include aquatic therapy and exercise routines, as well as other physical therapy methods. One of the main benefits of hydrotherapy is the hydrostatic pressure of water. This pressure pushes on your body and provides extra support if your condition is causing you to feel unsteady. A second benefit of hydrotherapy is the increased resistance during exercise. This extra resistance may help improve the effects of the therapy plan without having to add any extra weights. A third benefit of hydrotherapy is the buoyancy of water. This property of water may help to reduce the stress on your body that comes from gravity, which may make therapy exercise routines easier for you to complete. These and other benefits allow the Peak Performance team to design aquatic therapy and exercise routines that may reduce the amount of time you must spend in physical therapy. Contact our team at Peak Performance today to find out more about aquatic therapy and exercise routines or to schedule an initial assessment appointment.